Press Release (ePRNews.com) - Santa Maria, CA - Feb 04, 2019 - Setting base out of Santa Maria, Fountain Tech is a top-rated company known for its brilliance in the fountain equipment world. Over the years, the company has risen through the ranks to become a one-stop shop for all submersible pump requirements. Through the adoption of the latest tech in the industry, they’ve been able to come up with highly functional items which are suitable for a variety of applications. 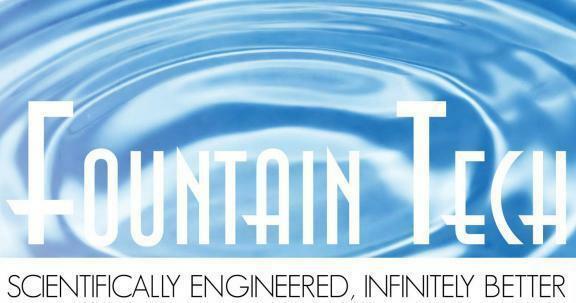 Specializing only in wholesale provisions, they offer energy-efficient pumps used by well-known fountain manufacturers. Their portfolio features a broad range of products which include indoor pumps, fountain/pond lights, outdoor pumps and much more. All their products meet the industry’s requirements guaranteeing one value for money when they shop for the same. Clients looking to get fountain pump can trust Fountain Tech to provide them with some of the best items in this category. The provision of top-quality pumps has been their cup of tea since time immemorial, and they’ve exhibited a top-notch performance in this field. They offer a broad range of fountain pumps which include Fountain Tech FT-70-O, Fountain Tech FT-250, Fountain Tech FT-160, Fountain Tech FT-130-O, and Fountain Tech FT-450 among others. All these fountain pumps mirror modern creativity and can be banked to serve one’s needs to the latter. When it comes to submersible fountain lights, clients can be sure to get the best of the same when they shop at Fountain Tech. Their lights come in different color variations and can be adjusted to create various lighting patterns at night. The products in this category include LED-144colorchanging, Stainless Steel LED Pond Fountain Light Kit and LED Lights. More information on these lighting products can be found on the company’s website. Fountain Tech is a well-known provider of high-quality fountain pumps and lighting for their broad range of clientele in California. Their products are realized from the latest tech and clients are assured of the best prices when they shop from the company.